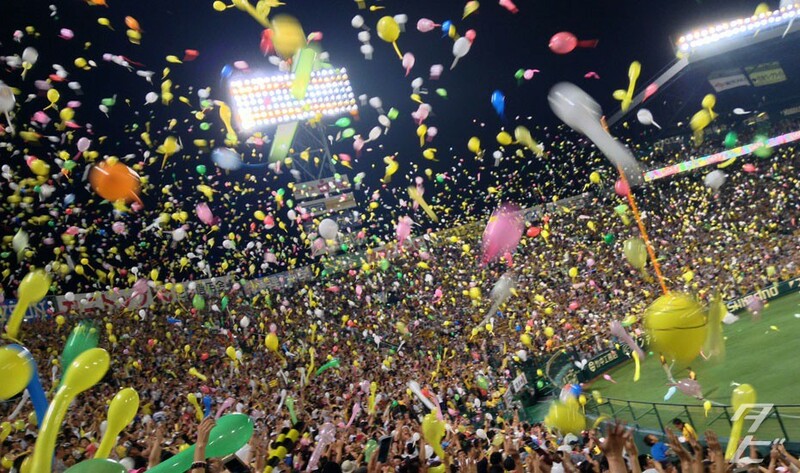 Of course you’re going to have a great time at a game no matter the outcome, but here are some of my tips for getting the most out of your Koshien time! 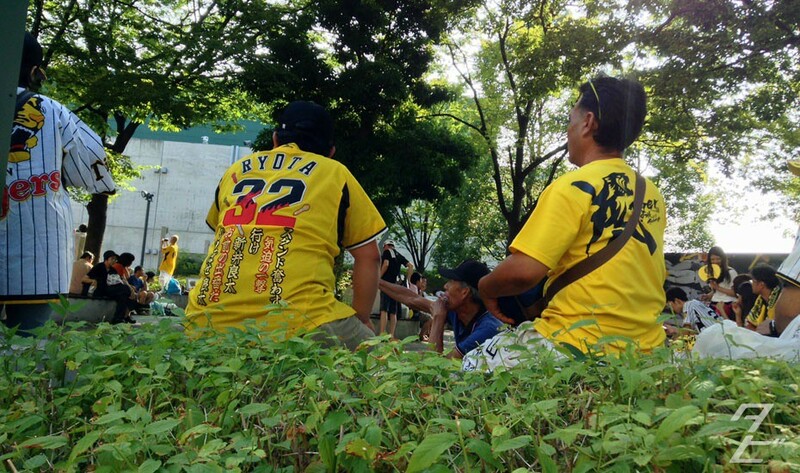 Outside the stadium are a number of stalls and small park areas. On a nice day it’s fun to arrive early, people watch and take in the atmosphere. West side of the stadium is best for this and you might even see the mascots walking around or leading the junior fans in a cheer session. 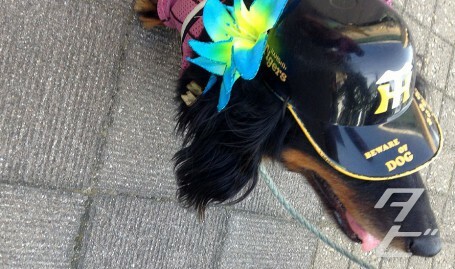 You’re bound to see lots of interesting characters! There’s plenty of food available inside, but it can be a little expensive. 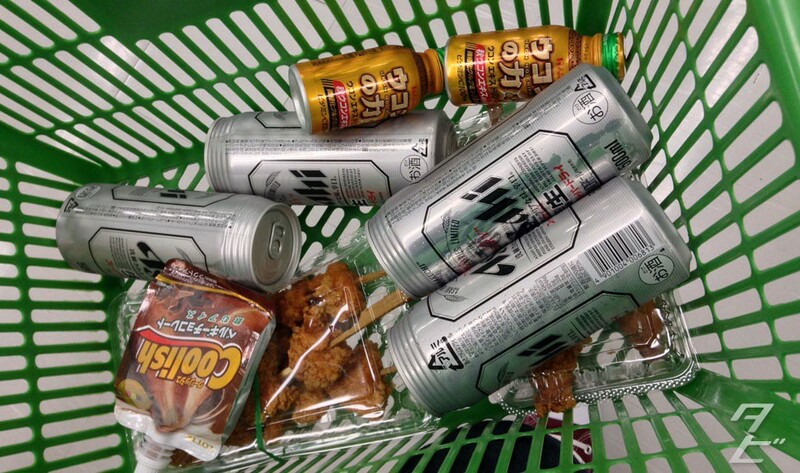 I always go to the Daiei supermarket next to the stadium and pick up a few bits and pieces, mostly rice balls and chicken skewers – easy things to eat which won’t cause a horrible mess if I drop them. 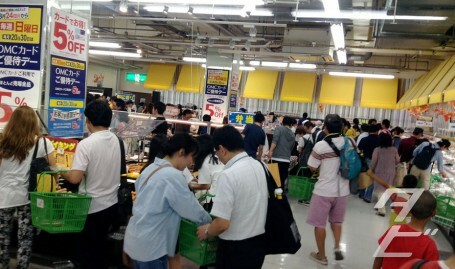 Koshien Curry is quite famous but I’ve never tried it for fear of spilling it on somebody! 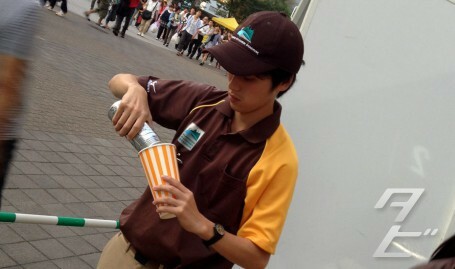 With drinks it’s ok to take a couple in, but the staff will pour them into paper cups before you enter the stand. I’d recommend picking up some “Cheer Bats” – they’re the things used to keep the beat during the player chants – the beats are pretty easy to follow and joining in is really fun. 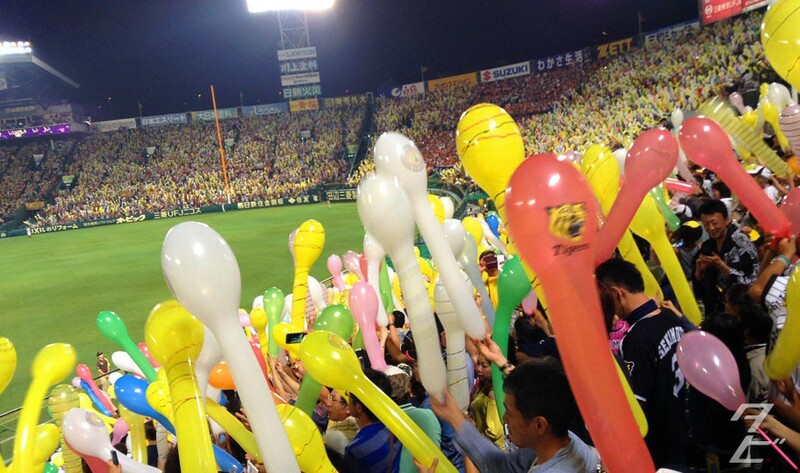 There’s also lots of audience participation between innings, the 6th inning kanpai(everyone drinks) to the lucky 7th where all the Hanshin fans let balloons loose(buy them outside the stadium), make sure you join in! 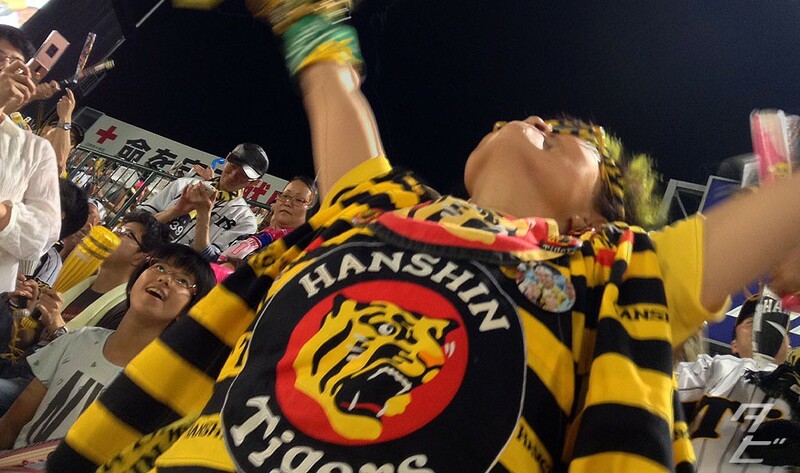 Tigers fans are some of the most dedicated and fanatical in Japanese baseball, they’re also very welcoming! 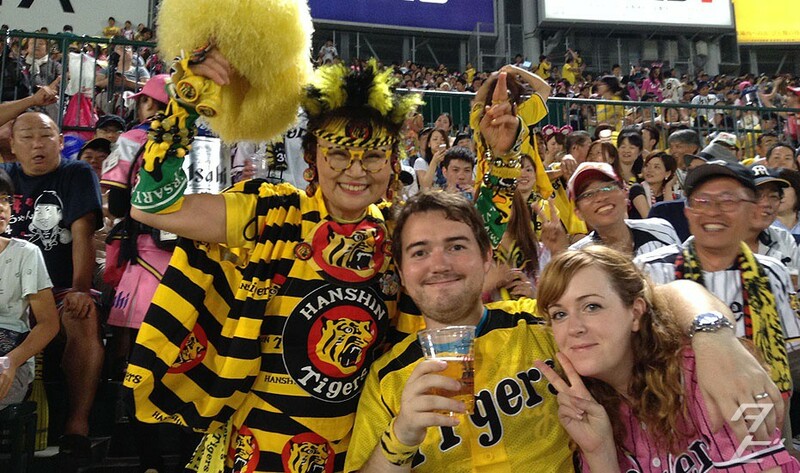 Don’t worry about the language barrier, everyone I’ve spoken to makes an effort to communicate as best they can, and things like high fives and and beer clinks are hard to confuse 🙂 The right outfield stand is where you’ll find the most colourful characters, like this amazing lady above who I’ve heard attends every game! Awajishima Burger is pretty close to Koshien, easily walk-able. I like to drop by on a game day, sometimes before, sometimes after depending on whether it’s an afternoon or evening game. 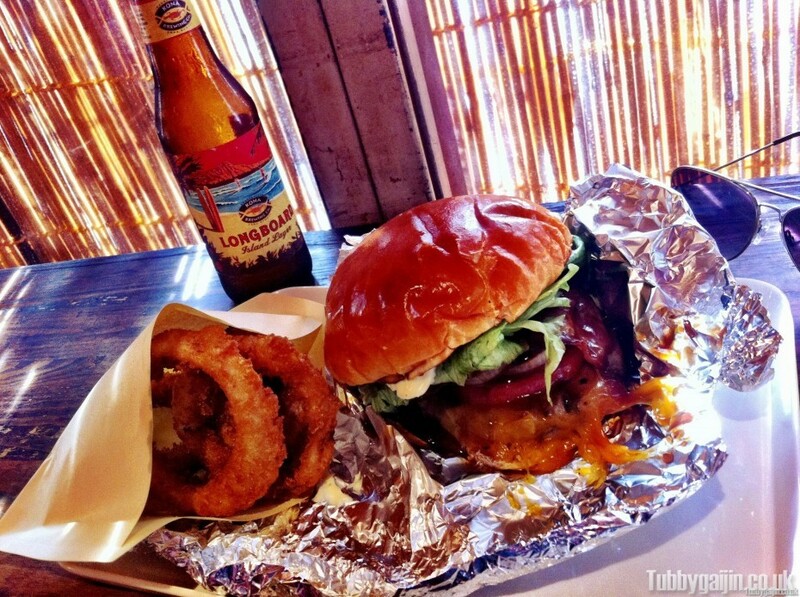 Any excuse to eat one of the best burgers in Japan!